Motorcyclists are vulnerable to the mistakes of other drivers, but they don’t have to shoulder the financial burden of other drivers’ mistakes. Allow a Cottonwood Heights motorcycle crash lawyer to help you win the compensation you need. In the aftermath of a motorcycle accident, you could be facing a long road ahead. The sheer weight and size difference between motorcycles and cars means crashes can be especially traumatic for riders. Moreover, the pain and emotional anguish can be devastating—and that’s not to mention the added stress of dealing with medical debt. As with virtually all types of vehicle wrecks, negligence is among the most common causes of motorcycle accidents. Luckily for victims, there is a silver lining. If you were injured in a motorcycle crash due to the negligent actions of another, you can file a claim against those at fault for the accident. 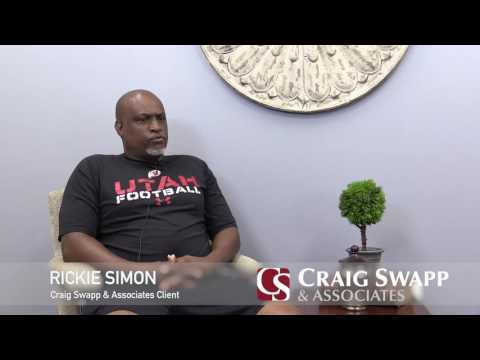 Craig Swapp & Associates can help you in your effort to recover compensation. A qualified Cottonwood Heights motorcycle accident lawyer from our firm is ready to help you along the road to compensation. What Leads to Motorcycle Accidents in Cottonwood Heights? The first step in the process is to determine causation and attribute fault to the correct party. Because one or more factors might have led to your crash, there may be multiple negligent parties involved. Distracted Driving – If a driver is texting, eating, or otherwise not completely focused on the wheel, he or she can hit a motorcyclist. Drunk Driving – If a driver is under the influence of drugs or alcohol, his or her judgment will be impaired and reaction times delayed. Recklessness – If a driver knowingly breaks traffic laws, he or she can easily endanger motorcyclists in Cottonwood Heights. Human Error – If a driver inadvertently makes a mistake, such as failing to signal a turn, a motorcyclist can suffer greatly as a result. Unsafe Roads – If debris in the road, potholes, inadequate warning signs, or other hazards cause a motorcycle accident, victims may be able to sue a government agency responsible for road safety. Manufacturer Defects – If the manufacturer of your motorcycle or another vehicle involved in your crash failed to produce safe parts, and those unsafe parts contributed to your accident, you might be able to pursue compensation from the manufacturer. After your motorcycle accident, one of your biggest enemies will likely be the insurance company. A common, unfair stereotype suggests that motorcyclists are inherently reckless and should always be considered responsible for their accidents. Insurers will use this idea to place as much of the blame on you as possible in order to decrease their costs. Your attorney will fight back to ensure that you are not treated unfairly because of this bias against motorcyclists. The experienced team at Craig Swapp & Associates can help you recover the compensation you deserve for your motorcycle accident injuries. To discuss your case with an experienced Cottonwood Heights motorcycle accident lawyer, contact us via the form below or call 1-800-404-9000 to schedule a free, no-obligation consultation.